Barcelona vs Leganes predictions for this Sunday’s game in Spain’s La Liga as the Madrid minnows head to Camp Nou. Read on for our free betting tips and predictions. This Sunday’s clash at Camp Nou in La Liga sees Barcelona seeking to further extend their advantage at the top of the division. They host a Leganes side who have already beaten them this season. The Catalans though will be expected to get their revenge this weekend and extend what is now a 6 game winning streak in the Primera Division. It has been a good week on the face of it for Barcelona. They’ve picked up back-to-back 3-0 wins at Camp Nou, seeing off Eibar in La Liga before turning around their Copa del Rey tie against Levante with a dominant midweek display. However suggestions Barca fielded an ineligible player in the 1st Leg has led to an appeal from Levante which could yet see Ernesto Valverde’s men kicked out of a competition they have won in each of the last 4 seasons. Leganes were also Copa del Rey 2nd Leg winners, deservedly beating a weakened Real Madrid side 1-0 at Butarque. It wasn’t enough to turn around a three goal deficit but still serves as a timely confidence boost heading into this one. 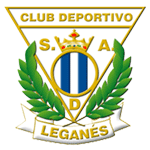 To some extent this is a free shot for Leganes with nobody expecting them to get a result and it was more important that they beat fellow strugglers Huesca last weekend, which they did 1-0. It almost goes without saying that Barca should win this match and they have hit a real hot streak in terms of results in La Liga. They’ve only conceded once in their last 6 league outings too, which will particularly please Valverde and with Leganes likely to park the bus, it’s hard to see the visitors having many chances in this game. In the final third, Barca have been brilliant in flashes but rarely for 90 minutes. Surprisingly their opponents have actually created more expected goals than them in 3 of their last 4 matches. In La Liga, they’ve not created more than 1.1 expected goals in any of their last 3 matches and have largely been reliant on the clinical finishing of their forward players to seal the victories. That certainly suggests that things aren’t quite functioning as well as they could be in terms of creativity. At this busy time of year, it’s also common for the top sides to take their foot off the gas when they work up a two goal cushion and against an organised Leganes side, backing Barcelona & Under 3.5 Goals appeals with a cricket score unlikely here. CD Leganes have avoided the defeat in two of their seven visits to Catalonian opposition in LaLiga (W1 D1), failing to score in four of them. Barcelona have won their last six LaLiga games, the best current run of any side in the Top 5 European Leagues. Leganes have not lost in four of their last six LaLiga away games (W1 D3 L2), as many unbeaten games as they had in their previous 20 matches away from home in the top-flight (W1 D3 L16). 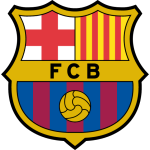 Barcelona have won the league title in 12 of the last 14 seasons in which they have finished as winter champion – the only exceptions were in 2006/07 (Real Madrid won under Fabio Capello) and 2013/14 (Atletico de Madrid under Diego Simeone). Only Manchester City (59) have scored more goals than Barcelona (53, the same as PSG) in the Top 5 European Leagues this season. Only Atletico de Madrid (58) have faced fewer shots on target than Leganes (66) in LaLiga this season. Barcelona’s Lionel Messi has scored seven goals in five appearances against Leganes in LaLiga. He is the player with the most goals scored against them in the top-flight. Barcelona striker Luis Suarez has scored 14 goals in LaLiga this season. He has reached 15+ goals in each of his last six league seasons (four in La Liga and two in the Premier League). Leganes boss Mauricio Pellegrino is unbeaten in his three managerial games against Barcelona coach Ernesto Valverde (W2 D1), two as Alaves’ manager (W1 D1) and one with Leganes this season (W1).